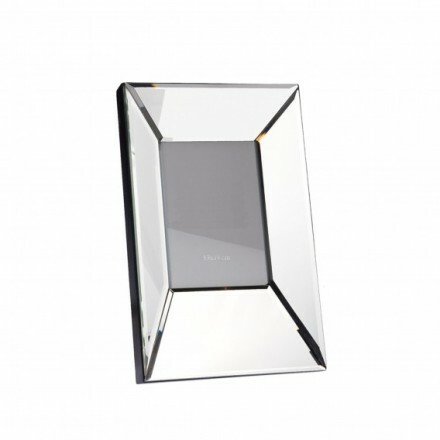 Bevelled mirror photo frame - photo size 13 x 18cm. frame size H33cm, W 20cm, D 3.5cm. 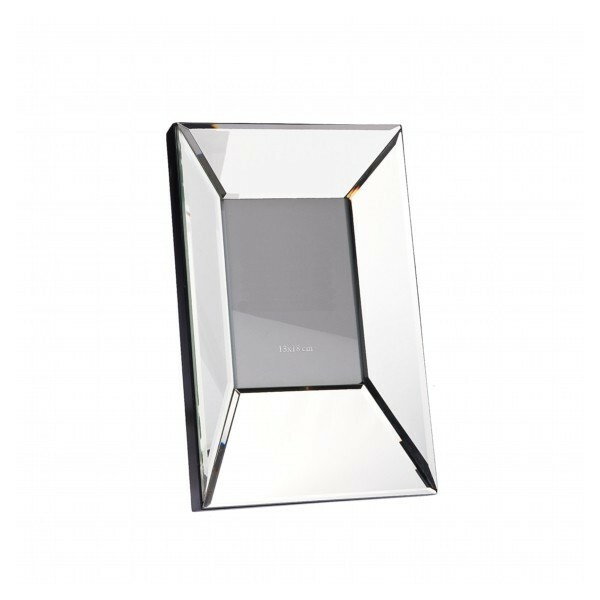 Beautiful picture frame, ideal for contemporary or traditional setting, light reflects from each surface to light up your room. Wooden back, portrait outlook, this solid frame will add a touch of class to any room in the house.